In the question “Who am I?” What does “I” mean? Does it mean the essence of life? Knowledge is beating around the bush: knowing is a direct penetration. But the moment you directly penetrate into existence, you disappear as a separate entity. You are no more. When the KNOWER is no more then the knowing is. And the knowing is not ABOUT something — you are that knowing itself. So I cannot say, what “I” means in the question “Who am I?” It means nothing! It is just a device to lead you into the unknown, to lead you into the uncharted, to lead you into that which is not available to the mind. It is a sword to cut the very roots of the mind, so only the silence of no-mind is left. In that silence there is no question, no answer, no knower, no known, but only knowing, only experiencing. “Who am I?” functions like a sword to cut all the answers that the mind can manage. Zen people will say it is a koan, just like other koans. There are many koans, famous koans. Sometimes years pass, and then one day it has happened, there is no answer. First the disciple knew that there was no answer to it, but it was only an intellectual knowing. Now he knows from his very core: “There is no answer!” All answers have evaporated. And the sure sign that all answers have evaporated is only one: when the question also evaporates. Now he is sitting silently doing nothing, not even meditating. He has forgotten the question: “What is the sound of one hand clapping?” It is no more there. It is PURE silence. I used to ask myself, “Who am I?” It is impossible to count how many days and nights I passed in this query. The intellect gave answers heard from others, or born of conditioning. All of them were borrowed, lifeless. They brought no contentment. They resonated a little at the surface, and then disappeared. The inner being was not touched by them. No echo of them was heard in the depths. There were many answers to the question, but none was correct. And I was untouched by them. They could not rise to the level of the question. It seemed as if a closed door had been flung open, filling the darkness with light. The intellect had been providing the answers – that was the mistake. Because of these false answers, the real answer could not arise. Some truth was struggling to surface. In the depths of consciousness some seed was seeking the way to break open the ground in order to reach the light. Intellect was the obstruction. “Who am I?” My entire being was throbbing with this thirst. “Who am I?” – Like an arrow, the question pierced through everything and moved within. Only I was there – and there was the question too. No, no – I myself was the question. And then the explosion. In a moment, everything was transformed. The question had dropped. The answer had come from some unknown dimension. I know their son but I am not he. I am both, no neither. I witness all of life. But, who Is this I? 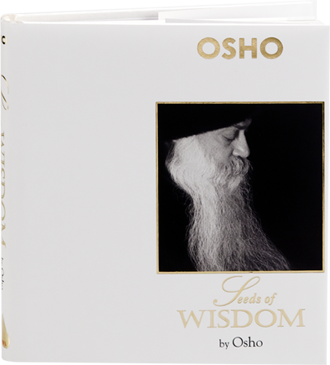 Author purushottamaPosted on December 24, 2010 April 24, 2018 Categories Here to Now and Behind, Osho Sannyasins, poetry, Prem PurushottamaTags poetry, self-inquiry, who am I, witnessingLeave a comment on Who Am I? Would you please talk about the sadhana based on holding as much as possible to the “I” thought or the sense “I AM” and on asking oneself the questions, “Who am I?” or “From where does the ‘I’ arise?” In what way does this approach to meditation differ from that of watching the gaps between one’s in-breath and out-breath? Does it make any difference whether one witnesses the breath focusing on the heart center or on the lower belly center? The greatest problem is that when you ask “Who am I”… who is going to answer you? Most probably the answer will come from your tradition, from your scriptures, from your conditioning. You have heard that “I am not the body, I am not the mind. I am the soul, I am the ultimate, Brahma, I am God” — all these kinds of thoughts you have heard before. You will ask a few times, “Who am I? 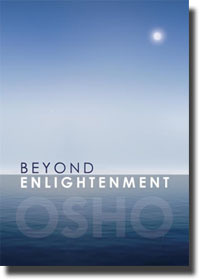 Who am I?”—And then you will say, “I am ultimate, BRAHMA.” And this is not a discovery, this is simply stupid. If you want to go rightly into the method, then the question has not to be verbally asked. “Who am I?” has not to be repeated verbally. Because as long as it remains a verbal question, you will supply a verbal answer from the head. You have to drop the verbal question. It has to remain just a vague idea, just like a thirst. Not that “I am thirsty,”—can you see the difference? When you are thirsty, you feel the thirst. And if you are in a desert, you feel the thirst in every fiber of your body. You don’t say, “I am thirsty, I am thirsty.” It is no longer a linguistic question, it is existential. If “Who am I?” is an existential question, if you are not asking it in language but instead the feeling of the question is settling inside your center, then there is no need for any answer. Then it is none of the mind’s business. The mind will not hear that which is non-verbal, and the mind will not answer that which is non-verbal. All your scriptures are in the mind, all your knowledge is gathered there. Now you are entering an innocent space. You will not get the answer. You will get the feel, you will get the taste, you will get the smell. As you go deeper, you will be filled more with the feeling of being, of immortality, blissfulness, silence… a tremendous benediction. But there is no answer like, “I am this, I am that.” All that is from the scriptures. This feeling is from you, and this feeling has a truth about it. It is a perfectly valid method. One of the great masters of this century, Raman Maharshi, used only this method for his disciples: “Who am I?” But I have come across hundreds of his disciples—they are nowhere near the ultimate experience. And the reason is because they know the answer already. I said, “If you know the answer, then why are you asking? And your asking cannot go on very long—do it two or three times and the answer comes. The answer was already there, before the question.” So it is just a mind game. If you want to play it, you can play it. But if you really want to go into it as it was meant by Raman Maharshi, and by all the ancient seers, it is a nonverbal thirst. Not knowing oneself hurts, it is a wound. Not knowing oneself makes the whole of life meaningless. You may know everything, only you do not know yourself—and that would be the first thing to know. So if you can avoid the danger of falling into a verbal question, it is perfectly good, you can go ahead. You have also asked about witnessing, watching the breath and where one should watch. Anywhere—because the question is not where you are watching, the question is that you are watching. The emphasis is on watching, watchfulness. All those points are just excuses. You can watch the breath at the tip of the nose where the breath goes in, you can watch it while it is going in, you can watch it when it returns—you can watch it anywhere. You can watch thoughts moving inside. The whole point is not to get lost in what you are watching, as if that is important. That is not important. The important thing is that you are watchful, that you have not forgotten to watch, that you are watching… watching… watching. And slowly, slowly, as the watcher becomes more and more solid, stable, unwavering, a transformation happens. The things that you were watching disappear. For the first time, the watcher itself becomes the watched; the observer itself becomes the observed. You have come home.